Valve have announced today that the new downloadable add-on pack for Left 4 Dead and Left 4 Dead 2 called The Sacrifice will be available to download on both the Xbox 360 and PC on October 5th. The Sacrifice download content (DLC) is the prequel to ‘The Passing’ that Valve released in April. 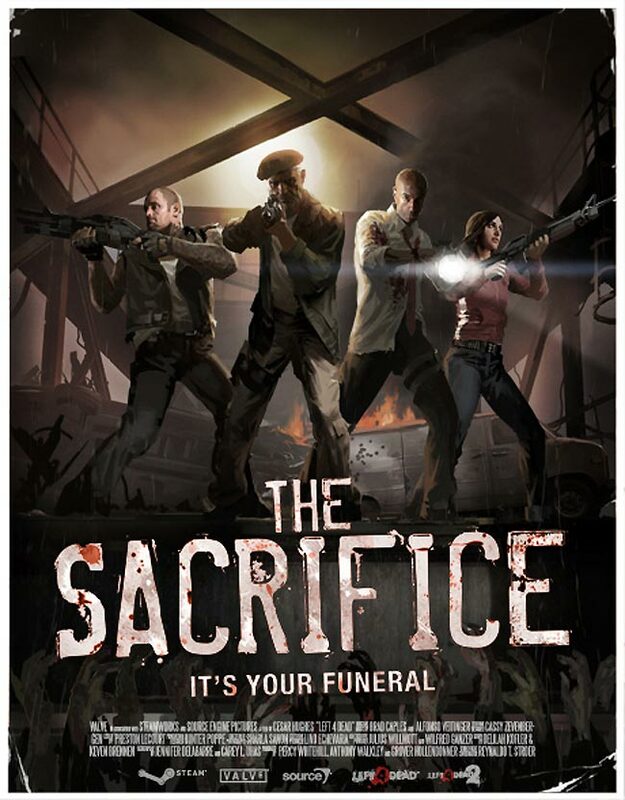 “The Sacrifice” forces players to make a decision on which survivor will be killed at the end and takes places from the perspective of the survivors from Left 4 Dead. The Sacrifice DLC for L4D1 is a seperate download than The Sacrifice for L4D2. Left 4 Dead 2 owners will receive the Left 4 Dead survivors and “No Mercy” campaign. Both campaigns are playable in Campaign, Versus, Survival, and Scavenge modes and both will feature the Left 4 Dead 2 Special Infected, items, and weapons.